“We need a logo or branding that truly depicts the work of the organisation." In a bid to ensure that its services are accessible for all members of the public, the Consumer Council of Fiji (CCOF) has moved its office to a new location and launched a new corporate logo. This was revealed by Minister for Industry, Trade, Tourism, Local Government, Housing and Community Development Premila Kumar during the opening of the new Consumer Council office on Level 5 of Suva’s Vanua House. Mrs Kumar, a former Consumer Council chief executive officer before she contested last year’s general election, also launched the council’s new logo. 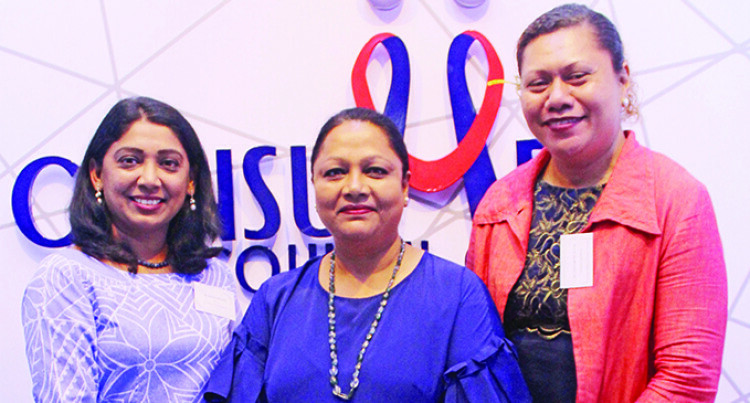 She described the relocation and logo launch as significant milestones not just for the organisation, but for the board, staff and Fijian consumers. “The new office provides easy access for persons with disabilities. They will no longer be deprived of the services of the council,” Mrs Kumar said. “Previously, CCOF staff had to either visit them at their home or attend to their needs by going to the vehicle parked outside the office. “With the new office, the council has substantially increased its waiting area for consumers. “The council has come a long way and today’s event, is a testimony of the fruitful, exciting and challenging journey the council has taken over the years. I am pleased to finally see the Council relocate its office after spending 14 years at Carnarvon Street. On the new logo, Ms Kumar said it had a lot of meaning behind it. “We need a logo or branding that truly depicts the work of the organisation. Unfortunately, the council’s logo was developed four decades ago and it did not reflect the work of the council,” she said.